The Wii U eShop may still be a mystery to us — a Nintendo Direct broadcast to show it off wouldn't be a surprise — but there have certainly been plenty of developers queuing up to share optimistic viewpoints on the platform. The latest to do so is a young studio called Nyamyam, founded in late 2010 by two former Rare employees, Phil Tossell and Jennifer Schneidereit. Their upcoming first title, Tengami, is currently slated for iOS, PC and Mac, but the developer has now teased a release on Wii U, while speaking of positive discussions with Nintendo. Chatted with Nintendo Europe today. Really excited about Nintendo's plans for the digital WiiU store. Very indie/small dev friendly. 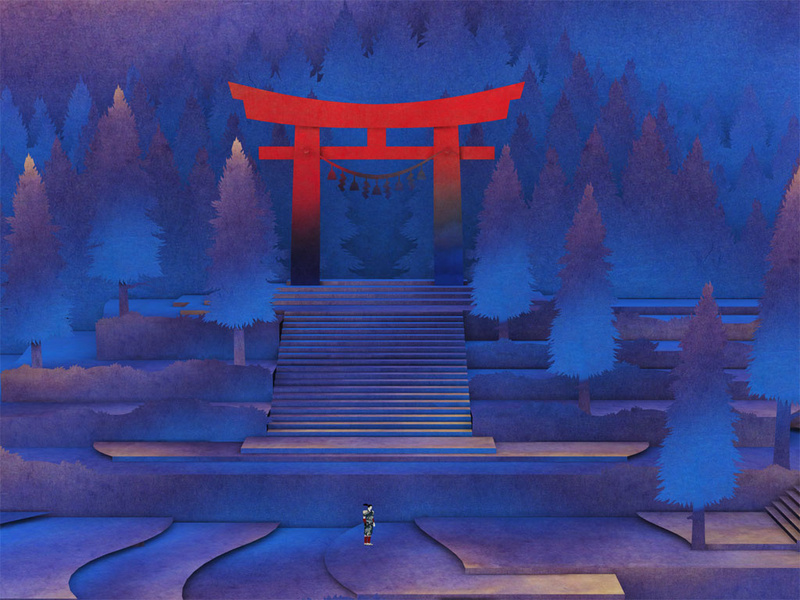 Would you like to see Tengami on the WiiU? 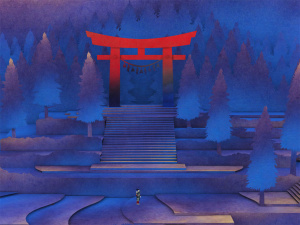 Tengami's promise is highlighted by its status as a finalist at IndieCade 2012; it appears to be an adventure title with a heavy emphasis on exploration, with some puzzle elements included. Its pop-up story book visual style and Japanese design are certainly eye-catching, and it's easy to see why the developer and Nintendo have already met. You can see Tengami's trailer below, so let us know what you think in the comments section. Sounds a little like Okami in the description, which can never be a bad thing. Anything coming from former Rare is enough to call my attention. Looks a bit so-so from the trailer. It's got potential though so i'll wait for a demo / reviews. So I would definitely like to see Tengami on Wii U. This looks interesting...I agree, this didn't give us much about the game play itself...can't wait to see more on this game. Looks gorgeous! Reminds me of Okami and Sakura Samurai. I'm not getting a WiiU until a Zelda game comes out for it, but I'm definitely looking into this for my Mac when it's released. I'd like to see as many independent titles as possible get on Wii U. Looks beautiful. Best of luck to the devs, and again, I hope the former employees of Silicon Knights follow suit and form small companies capable of creating awesome games. Do want. Reminds me a little of LostWinds, at least in terms of being unique and relaxing. Speaking of, too bad Frontier is apparently tied to the Xbox as I'd love Wii U LostWinds 3. Looks excellent. My only concern is that when non-Japanese developers make Japanese aesthetic games, they tend to miss the mark.